'At 'Hillwood ', the property of Mr. H. O'Beirne, Wakapuaka. Nelson District. Planted c.1856 by Mr. A.S. Collins, who was prominant in local Nelson affairs 1849-1911. Largest specimen in New Zealand'. D.H. Leigh & W.H. Jolliffe, 'A Working List Of Notable & Historic Trees Of The Nelson Province'. August 1969. 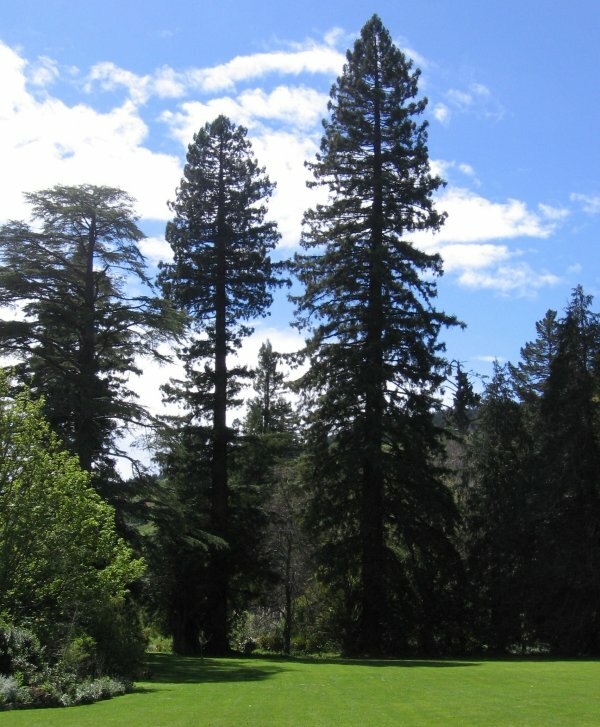 'Largest single Californian redwood (by combination of diameter and height). 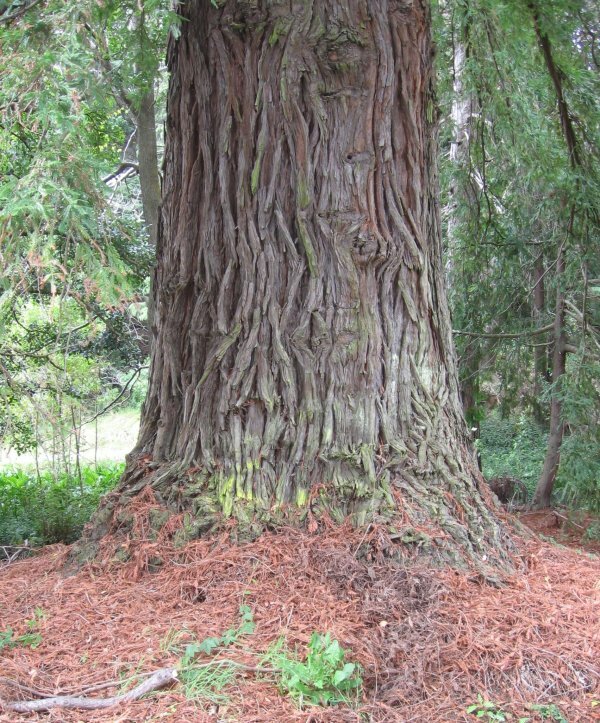 An open grown tree, it is not as tall as the tallest to be found in the competition of the Whakarewarewa grove, but it is thicker than the greatest in diameter there'. S.W. Burstall. 1984 'Great Trees of New Zealand', page 185. Note: Burstall used a combination of diameter and height to determine national champions, NZNTT 2010. See additional tree nearby NNR/0771. A large mound of debris has formed at the base. Taken from the top of the mound. In very good health. BGC, 2010. Open grown, branching to the ground. The branches are slightly descending. Easily seen as you approach the old homestead. Located near the road.